I don’t know anyone who has started a trucking company with the hopes of failing. 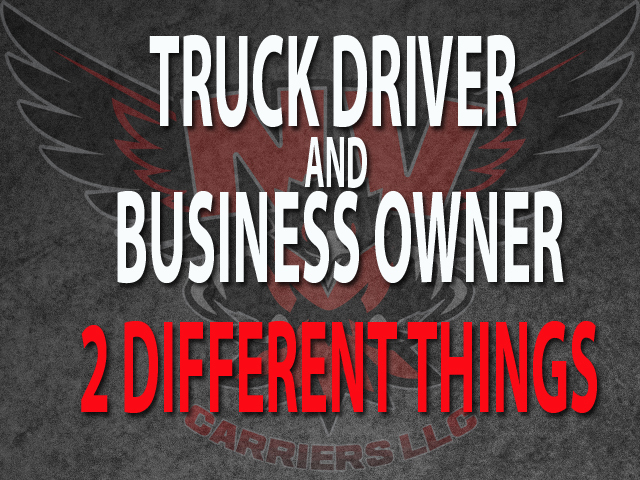 I haven’t met a business owner that didn’t want to succeed in the trucking industry. Most small fleet owners say that they want to succeed but their actions don’t agree. I see that many are chasing loads instead of providing a service. In this article we will discuss just one of the main problem(s) most small fleet owners encounter when it comes to growing their business. Get Out the Truck: The myth in trucking is that your truck(s) must constantly be moving in order to be successful. That’s true to a degree. However, the problem that I see when it comes to small fleet owners is business. Why are some fleet owners more successful than others? I see time and time again that most motor carriers complain about freight brokerages and/or load boards. I thought the purpose of starting a trucking company was to acquire paying customers to turn a profit. How can you do this competing against yourself? When you sign up with multiple freight brokerages you’re literally competing against yourself. Because if those freight brokers target the same customer one saying they can provide the same service cheaper, one is saying that they can get you to transport their load cheaper! How do you get a shipper to deal with you directly instead of a freight broker? You must get out the truck. 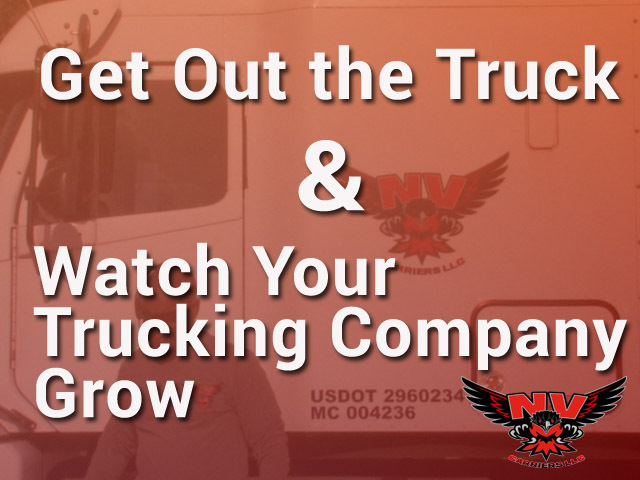 Now with the current ELD mandate some small fleet owners has shut their doors and with the rising price of fuel you will see more companies closing. So, if you’re a small fleet owner how do you combat some of the obstacles that you face. You must find ways to make bigger profits. You’re setting yourself up for failure depending on third part companies (Freight Brokers) to help your company grow. I hear so many times small fleet owners say that “I can’t get a direct shipper because I have only 1 truck”. That’s bull! Shippers are willing to deal directly with asset-based motor carriers no matter how many trucks you have. How do you get these shippers? In order to get direct shippers, you must GET OUT THE TRUCK! Look for good paying customers in the public and private sector and once you find them advertise to them. The fundamentals to success in business is to build trusting relationships and providing a very affordable and competitive product or service. Competition is everything in business. If you’re stuck in a truck for 3 weeks at a time when will you get the chance to find your ideal customer? How will you build relationships with those businesses that need your services? How will they find you? In order to grow your business, you don’t need chrome bumpers you need to find ways to market your company to attract direct shippers. We have a series of blog posts to help small motor carriers grow their companies. Until next time, Hammer Down!